Aquarians are as cool as winter chill, with a clear mind like the white snow across the land. Sun into Aquarius is deep Winter, but with the first light of Spring shining across a pure white landscape. Aquarians enter the earthly plane during this frosty chill, from January 21st to February 21st. In its pristine form, Aquarius is crystal-clear sight, and loving beyond labels. They are bright and love to break the ice with off-beat jokes or observations. But they're also human, with foibles like being absent-minded and aloof. Aquarians are often at odds with their surroundings. Many have a stubborn streak that gets in the way of them being open-minded free spirits. Some might say they're freaks and sometimes have fetishes or obsessions (being fixed signs). They defy the norm, sometimes just to make waves. Aquarius' symbol is the Waterbearer, signifying finer energies brought down to Earth. Aquarius hears what others don't, and brings a seer's perspective to day-to-day events. This is a group and friend oriented sign, known for its interest in causes that advance humanity. Aquarians in love are experimental, friendly and a lover of freedom. Like in life, Aquarians can be counted on to delight and shock you when you're in their inner social circle. They often have many friends, but few that can be counted as intimates. A stereotype for Aquarius is that they make very unconventional choices in love. If others play it safe, with those within their own cultural or social strata, Aquarius dates the wild cards. An Aquarian might date someone much older or much younger, or from a different race or planetary hemisphere. 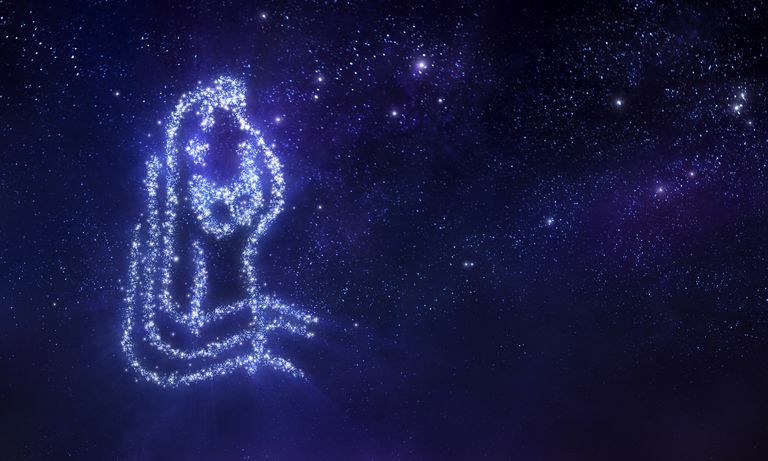 Aquarius is a sign that's naturally free-spirited, and that's a sticking point when it comes to love. They often want to have a wide range of motion, that includes other lovers. Though an Aquarian ready to settle down, is a loyal friend for life. Season is the deep freeze of winter. Colors are metallic silver and gold, electric or fluorescent shades of blue, green, violet, purple. Take a look at the shiny palette of Aquarian fashion. Birthstones are star sapphire, garnet, amethyst, moss agate, opal, and sugilite. Gemstones are turquoise, Talismanic stone, amazonite, blue lace agate, angelite, aqua aura, moldavite (the meteorite-stone from out of this world). Flowers are known Saturn blooms like heartsease, or pansy, the blue cornflower and Solomon's seal Aquarius's flowers. Unusual or striking flowers like bird-of-paradise, red bromeliad, orange coxcomb. Star-shaped varieties, like the Star of Bethlehem. Animals are tropical birds and dolphins. Aquarius sees into the future, catching glimpses of it like when lightning illuminates the landscape. Many are ahead-of-their-time as visionaries, trendsetters, inventors, genius-artists, eccentrics, humanitarians. They have a mental sovereignty that gives them distance from the noise of life, moving in networks; they are very social, though fiercely private. At the extreme edges, Aquarius can be unreachable, fixed in their ideas, and condescending. However, Aquarius actually thrives at the cutting edge, and from an outsider's perspective, could seem like an extreme sport. Others live a life of the mind and keep up with the latest in art, movies, technology, music, and style. *The dates for Aquarius change every year, so check an ephemeris—or check your free birth chart—if you're on the cusp. Aquarius Teen: What's the Deal? Do Cancer and Aquarius Make a Good Love Match? Is It a Love Match Between Capricorn and Aquarius? How Do You Win Over an Aquarian? What's so Special About Gemini the Twins?